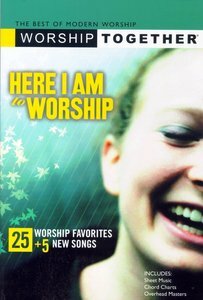 Worship Together proudly introduces HERE I AM TO WORSHIP, the groundbreaking, premier worship collection that features the top songs being sung in churches all across the country. This songbook includes 25 top worship songs, plus five brand new songs. About "Worship Together: Here I Am to Worship 1 Songbook"